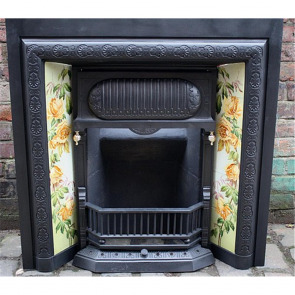 Antique fireplace inserts also known as cast iron register grates, hob grates, arched grates, fire grates, and tiled grates first started to make an appearance in early Georgian and the Victorian periods right through to the tiled grates of the late Victorian and Edwardian periods. 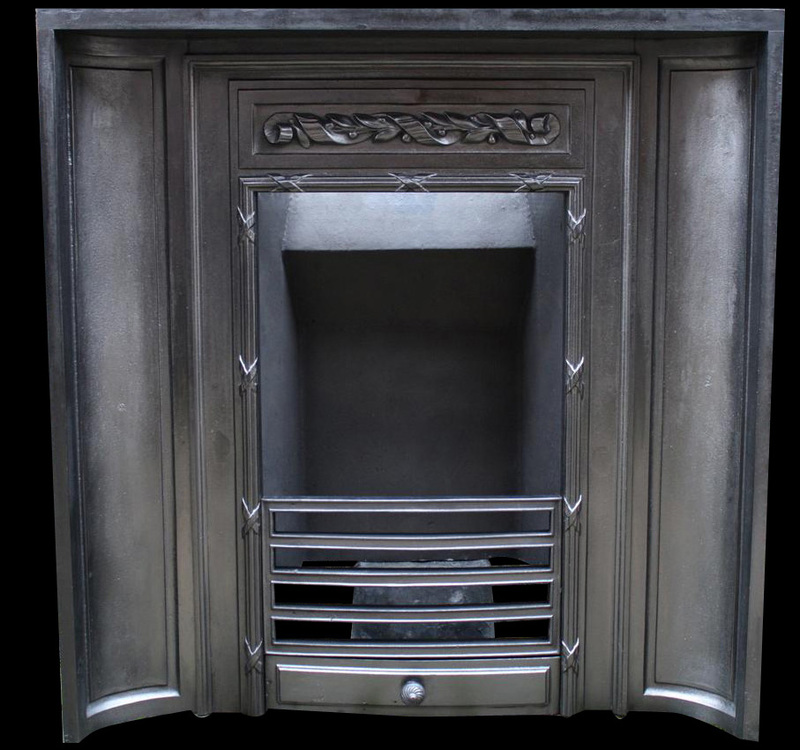 Most of our Antique fireplace inserts and grates are interchangeable with our range of Antique fireplace surrounds, if there is a particular cast iron grate or insert that you are interested in we can check whether the two are compatible. 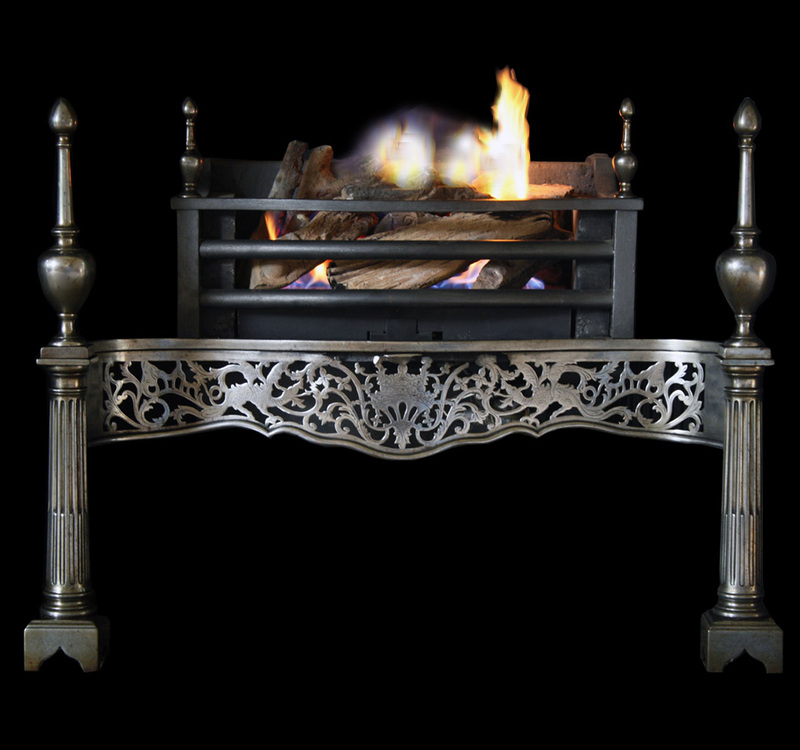 Most of our Antique fire inserts and grates are suitable for either solid fuel fires, alternatively, we can also supply either living flame gas fires or bioethanol fires to suit, price on application. 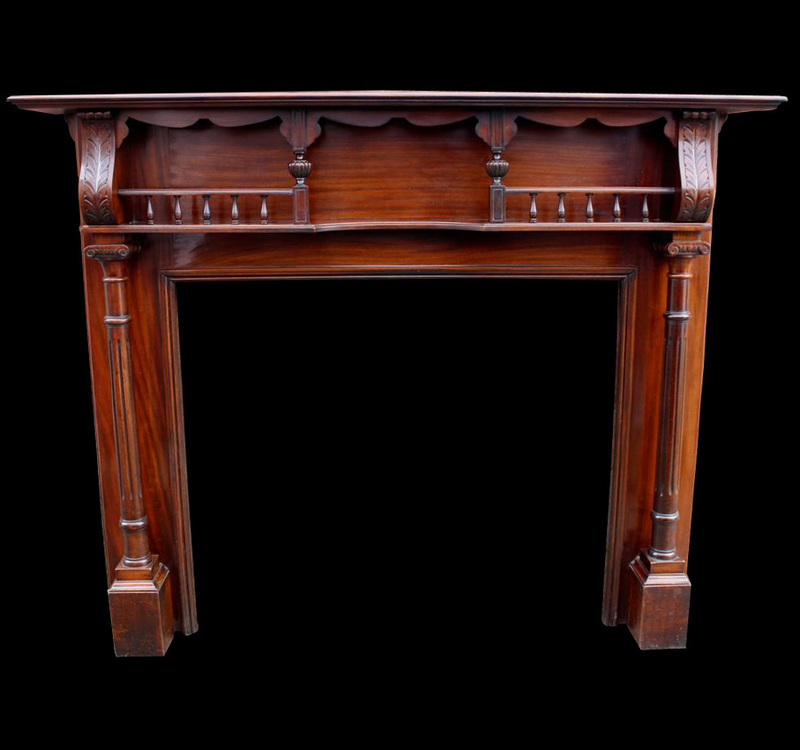 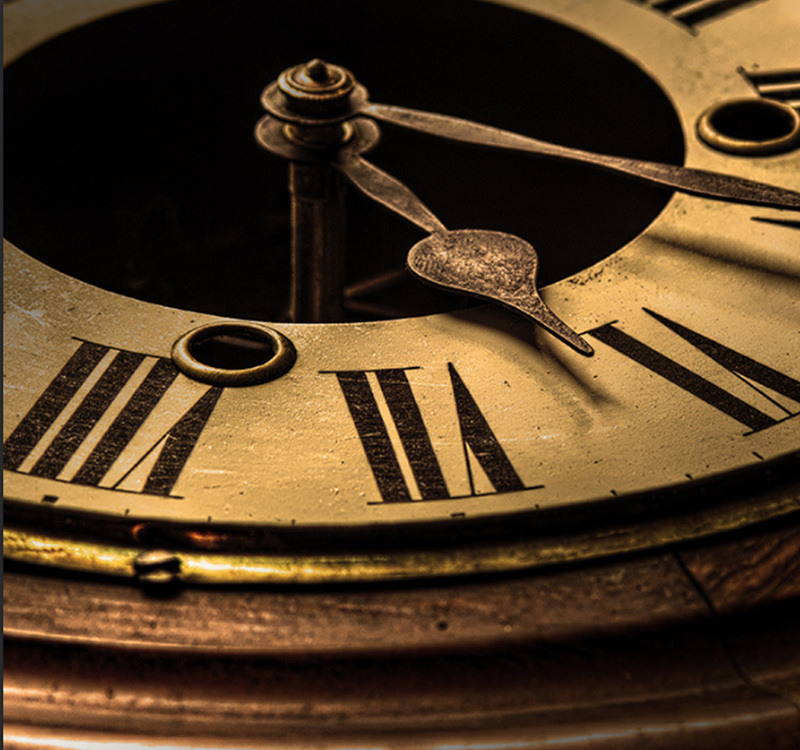 If there is a particular Antique grate that you are interested in always call us and we can make sure that it is on display to view.